Whether it flies, stings or just hangs around, Bug Pro is armed with the tools to get rid of pests at home and in the office around our 75-mile coverage area in Cabot, Arkansas. We offer customized services on a monthly, bi-monthly, quarterly, annually or bi-annually basis. We cover outside pest treatment. 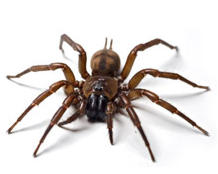 We handle removal of black widows and brown recluses. With a team of experienced technicians and over 18 years on the job, Bug Pro is here to get the best of your pests. As always, we provide free estimates so there is no reason to wait! We are available 24-hours-a-day, seven-days-a-week and cover everything from animal proofing, fumigation to insecticide spraying, lawn spraying, pest damage repairs, pest protection, pet and kid friendly products, a rodent control program and more. Rely on our more than 18 years of experience to add your name to the list of satisfied customers in Cabot, Arkansas. What’s more, Bug Pro has specialized services you won’t find elsewhere. Spiders:These eight-legged pests can bite and inject venom in their victims, including humans. They are found in all sorts of places in homes and businesses, making their way in through cracks and crevices, among other spots. There are well over 40,000 species of spiders in the world. 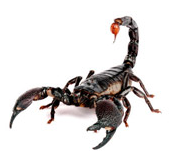 Scorpion:Scorpions usually live outside, but can move indoors in search of food. They use open spaces under doors and windows and can enter through foundation cracks. They also come in hidden spaces around homes and businesses. Their stings are painful and can require medical attention. There is nothing sweet about a honey bee infestation, right? It can feel as though you’re being held hostage in your own home or business. 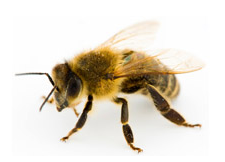 Bug Pro’s experienced, highly-trained technicians will come out and remove this pest or apply a treatment to rid you of the aggressive and (sometimes) literally stinging bees. For more than 18 years, we have made Cabot, Arkansas safe from the tiny-yet-intimidating bees and their “friends.” Some people can suffer life-threatening consequences from a bee sting and many others live in fear of their kids being targeted, as well as themselves. Because honey bees can emit pheromones that trigger aggression by other stinging insects around them – like yellow jackets and hornets it is important to handle each situation uniquely because everyone has a different concern. There are 44 sub-species of honey bees and we’ve beaten all of them in Cabot, Arkansas. Call or contact us TODAY to sling the sting! Honey Bee:Known for storing honey, these bees build colonies out of wax and can sting people and animals when they are disturbed. Is something bugging you about an unusual crack in your home or business’s paint or wood? Have you put off calling an expert? Cabot, Arkansas, let’s face it – few things worry home and business owners more than discovering a termite infestation. Too late. These pests work behind the scenes (or walls, to be more precise) and reek incredible damage that costs lots of money to fix, often without insurance to cover it. Before you reach the point of despair, Bug Pro has a few pointers to keep termites from wrecking your home and/or business. Trust our 18-plus years of experience in Cabot, Arkansas to handle your termite problem. We are well aware of the 50-plus active termite species in the United States. We know the warning signs and effective treatments so you don’t have to! More than anything else, Bug Pro wants you to rest easy that our services take the worry and stress out of termite control. Our 75-mile radius covers a host of satisfied customers who turned to us and made those silent destroyers a thing of the past. Call or contact us today! Termites: A silent killer, termites work as colonies while feeding on wood, dead leaves, soil and other matter. They destroy property, including homes, crops and the like. Signs of an infestation should not be ignored. Bug Pro LLC has over 18 years of experience in fighting and beating ants in Cabot, Arkansas. We know how to track them down. We know how to give you a clean sweep of things. Make no mistake, a call to our highly trained technicians is a decision you won’t regret. Call or contact us today! Ants: Busy little creatures, ants build colonies and multiply into the millions in some cases. They are made up of workers and queens. Ants can damage property and farm crops. An infestation can occur in a short period of time. Ever looked up from the kitchen table and watched a cockroach crawling on a cabinet door and felt a lump in your throat? Fewer sights cause as much panic and fear in a home or business. For more than 18 years, Bug Pro LLC has been shooting down these flying pests in our 75-mile coverage area in Cabot, Arkansas. Cockroaches are capable of unleashing health hazards and can make businesses like restaurants feel as though they've been invaded. 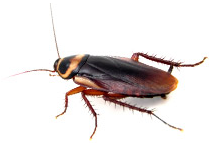 Roaches carry diseases and they smell! The first sign shouldn't be ignored. Get in touch with our experienced team of technicians right away. Another reason to contact us is to keep a roach infestation from getting out of control. If you're not sure where or how they got in, remember this - roaches are able to invade through things like vents, pipes and even on our bodies without us knowing it! Yuck. Double yuck. Call or contact us today! Roaches: With six legs, cockroaches reproduce quickly and carry disease to their territories. Homes and businesses can experience an infestation. Experts say that seeing one cockroach means there are many more hiding. Few things make people scream and jump more than a mouse or rat racing across the floor at home or in a business. How many of us can remember being forced to jump on a table to avoid them? Or, grabbing a broom to scare them away? And, there’s always the fear of more rodents hidden away. Sound familiar? It should. Bug Pro LLC has over 18 years of experience in rodent control. Our trained technicians keep Cabot, Arkansas from being overrun by rats and mice. Both can find ways of getting into your home or business through walls and other entries. They carry disease, contaminate food and can be very hard to find and remove. 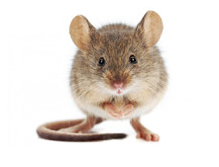 We cover a 75-mile area and have widespread experience in getting rid of rodents. Fact is, we know that rodents can be harmful to your health, property and well-being. They can destroy things like walls and make life miserable for agricultural operations because they eat grains and different types of seeds. The bottom line is that rodents do nothing but cause problems! Call or contact us today! Don’t let rodents gain the upper hand. Let Bug Pro take control of the situation! Rodants: Rats and mice are well-known rodents, along with squirrels and other smaller animals. They cause a lot of damage to homes and businesses and carry diseases. If you’ve ever heard that old saying, “Good night, sleep tight. Don’t let the bedbugs bite!” you know it as just words. But, when these little pests attack under the covers, it’s a whole lot more. Think it may have happened to you? Why not call in our experienced team with over 18 years of serving Cabot, Arkansas? Bed bugs are capable of reproducing in huge numbers and can leave you with little or no sleep, not to mention a nasty rash or other health issues. We will come to your home or business to size things up and put together a plan of action that is unique to your individual situation. Why wait? If you think bed bugs have found their way in and you want them out, Bug Pro is here to make it happen. For almost two decades, we’ve unpacked bed bugs and kicked them out of our customers’ lives. Call or contact us today! Covering a 75-mile radius in Cabot, Arkansas, Bug Pro has more than 18 years of experience in ridding homes and businesses of infestations and other pest issues. All our work is 100 percent guaranteed and carries warranty protection covering supplies and labor. On top of that, our knowledgeable technicians are state trained and certified, giving you confidence that our team stands ready to get things done! We understand what it takes to make bugs go away. And, we are here 24-hours-a-day, seven-days-a-week when you need us. There are other pesky bugs we take down for Cabot, Arkansas, so call or contact us TODAY!